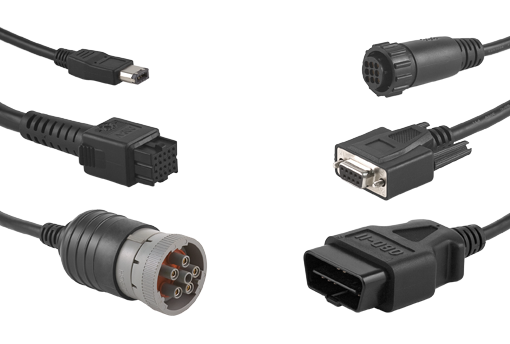 OBD cables are designed to be used with An OBD interface (sometimes referred to as “vehicle interface adapter”) is an electronic device that allows a computer to access the vehicle network. It is similar in operation to a computer modem, in that it translates messages from one protocol to another. Depending on the requirements of your application, you can go with an off-the-shelf or a custom interface. We deliver quality molded cables at the lowest prices in the industry. We have thousands of standard OBD cables in stock, so whether you’re a product engineer or an electronics hobbyist, chances are, we have your OBD cable. No order is too big or too small.